After 6 years of development, the big banks seem to be ready to combat Venmo on the money sending frontier, but now it might be too late. The system being implemented is called Zelle. Created by Early Warning, it is said to include an upgrade to banking apps that will allow users to make quick and easy payments. (Get it? Like a gazelle?) Eventually, however, the plan is to make Zelle its own standalone app for the banks. Nineteen banks have agreed to partake in the update including Bank of America, Citigroup, JPMorgan, Chase, and Wells Fargo. The timing of Zelle, however, could be what kills it before it begins. Venmo already has a huge advantage by establishing 'Venmo' as the common vernacular to describe peer-to-peer money sending. But banks are now rushing to release Zelle after Apple announced just last week that iOS 11 would also include instant money transfer through Apple Pay. Apple Pay not only has the advantage because it is an Apple feature automatically installed with the latest iOS, but it will also boast some of the advantages that the banks say Zelle has, and more. 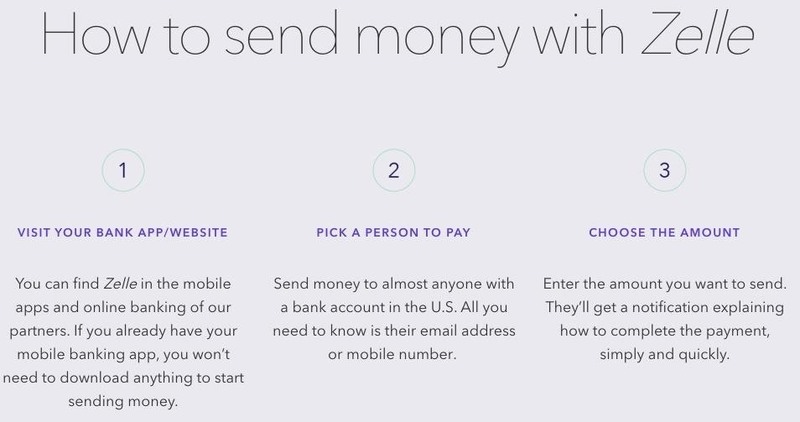 It will live inside iMessage for one thing, making it easy to send money over text. Additionally, the money will also be transferred to an "Apple Pay Cash Card" which sends the money to the user's bank account, giving them instant access to the cash. Which was Zelle's big feature. Venmo doesn't offer this. To get the cash in hand, users need to log into Venmo, cash out their balance and wait for the money to show up in the bank account, which can sometimes take days. Zelle's secret weapon was to have the capability to get fast cash through immediate transfers of the money into the user's bank account. That gave Zelle the upper hand on Venmo, but certainly not on Apple Pay. This is a great time for us to move person-to-person payments from millennials to mainstream. Any place we see checks and cash, that's our target. It could very well be possible that older users might benefit more from Zelle because it is transferring money through an organization they trust, their banks. Zelle also has the upper hand with Android users who don't have access to Apple features. However, Apple seems to have all of the things Zelle has to offer with the ease of having it already installed on your iPhone. Apple Pay will be released this fall while Bank of America users can start utilizing the Zelle update today. The timing of it all seems to indicate that the banks might have taken even more time on their money transfer platform had Apple not announced they would be creating an update that did nearly the exact same thing.